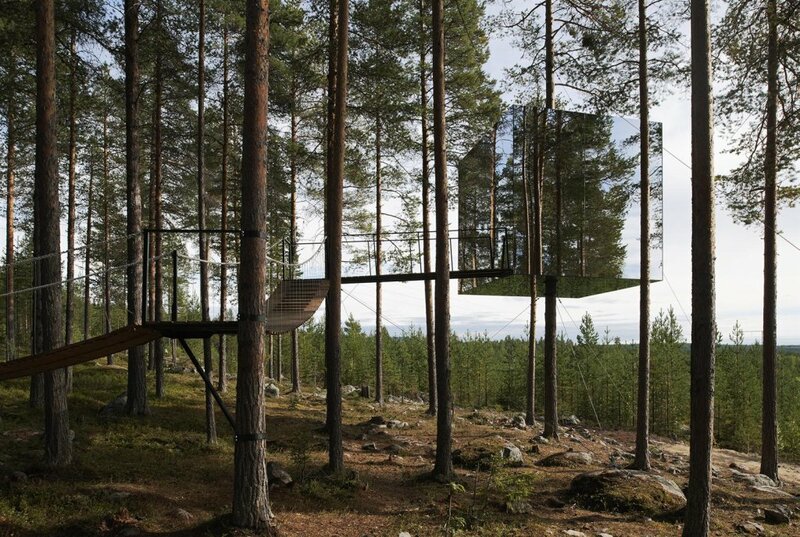 The place is a forested hill close to the small village of Harads, located about eighty kilometers up along the Lule River in the far north of Sweden. Its greatest asset is the vast and magnificent forests, where the new Tree hotel was started as a response to the growing interest in the wild nature and ecotourism. It establishes a last outpost, or a first base station, on the border between contemporary cultured society and an untouched natural environment. 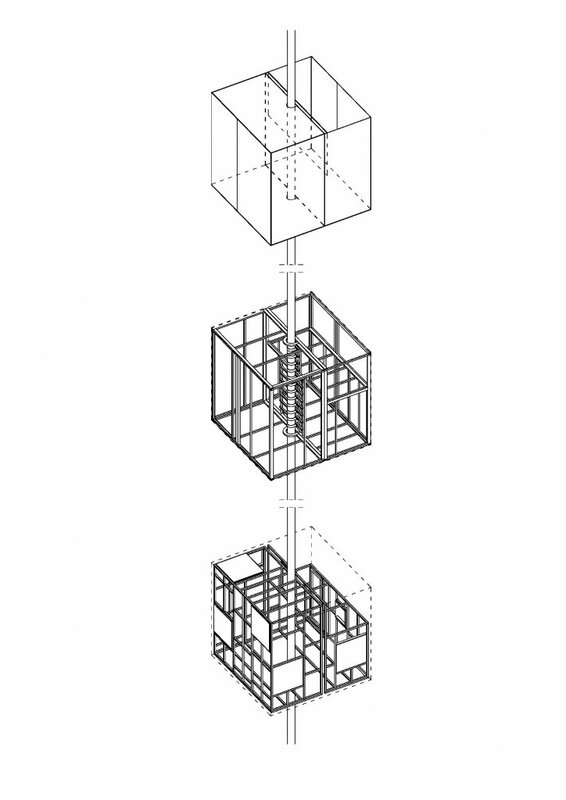 The starting point of the Mirrorcube is the relationship between man and nature. Its character, both camouflaged contextual and abstract deviant, is inspired by an observation of how we approach nature both as something enticing but also challenging. A paradox of the search for an original and authentic experience, combined with the high-tech materials and advanced equipment we believe we need to get really close to nature. 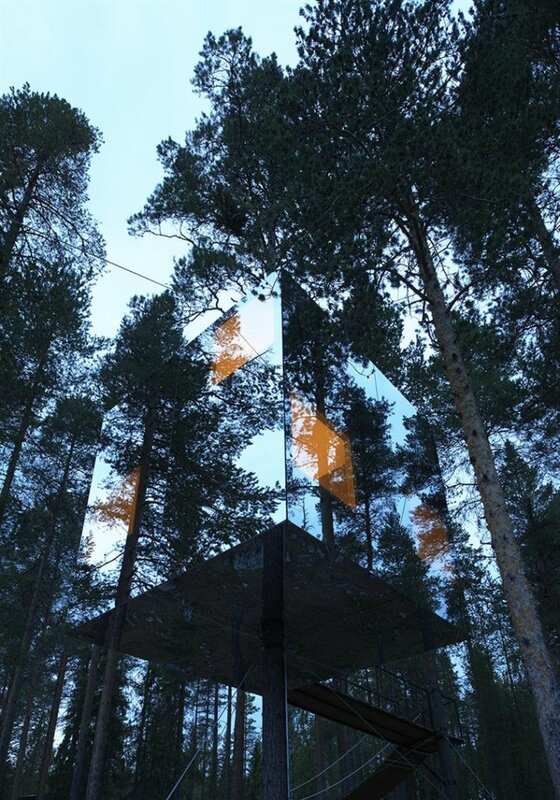 The Mirrorcube is a simple hut in the trees, a lightweight aluminum structure mounted directly on the tree trunk of a tall pine. 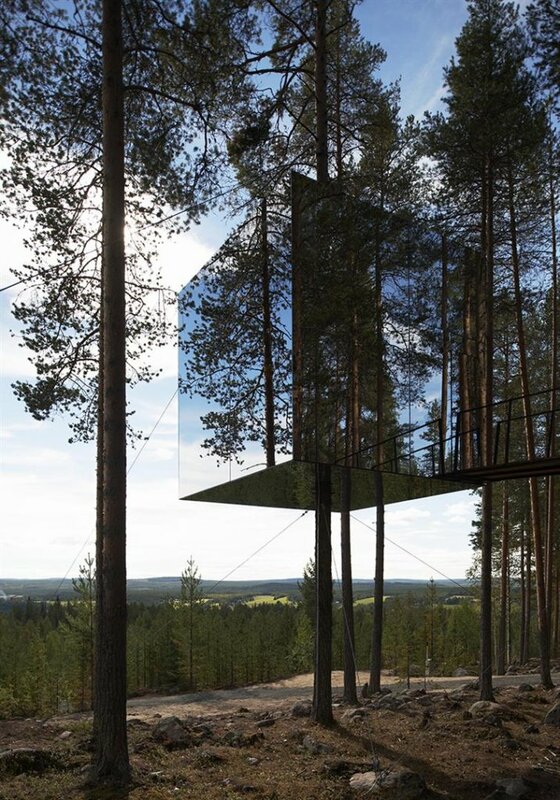 The entire volume, a 4x4x4 meter cube, is clad in highly reflective glass, the outside of which reflects the surroundings and the sky, creating a camouflaged place among the treetops. 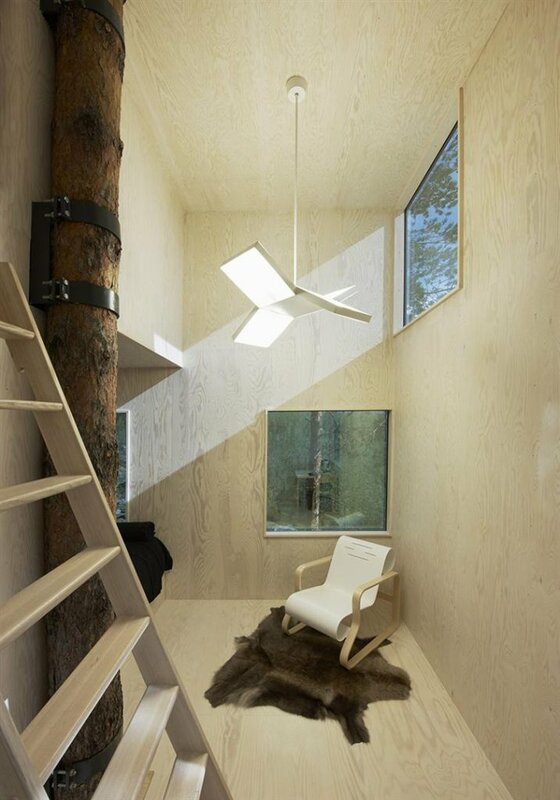 The interior is made ​​of plywood and freely positioned windows open up to a 360 degrees view of the surroundings.